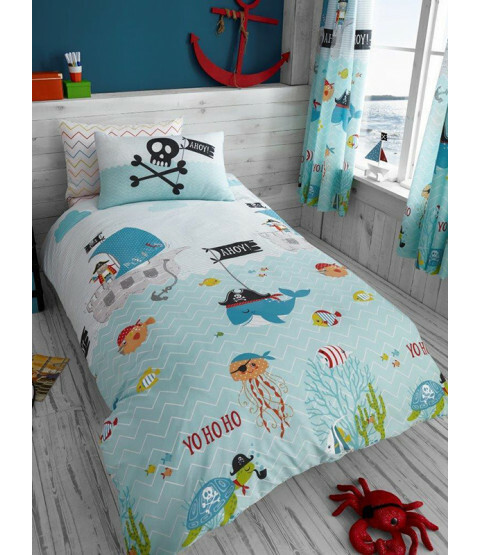 This Under the Sea Single Duvet Cover and Pillowcase Set is the perfect finishing touch for a nautical themed room. 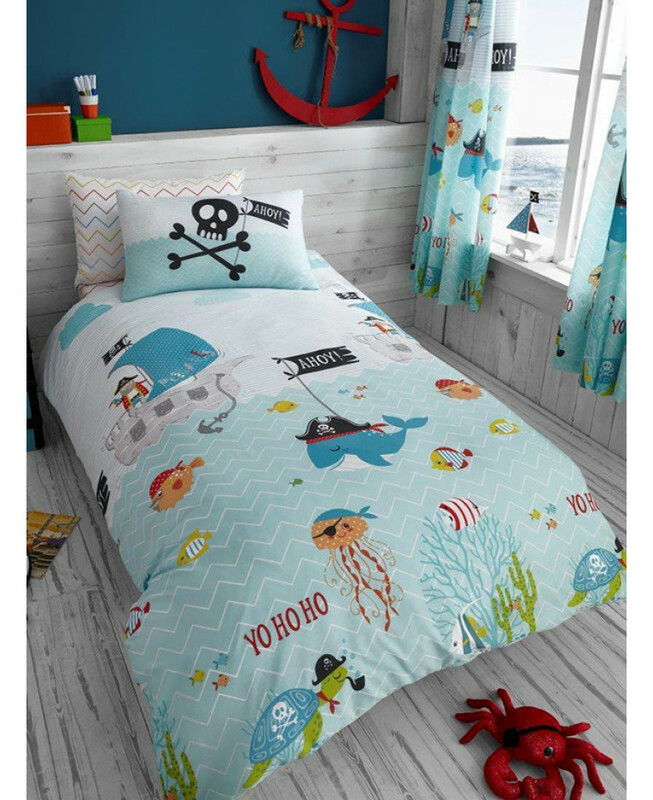 The fun design features a pirate ship and collection of colourful fish and coral as well as a pirate octopus, whale, puffer fish and turtle! This is set on a blue and white striped sky and zig zag chevron sea. Made from a polycotton blend, this bedding set is suitable for machine washing and tumble drying on a low setting. A coordinating fitted sheet and pillowcase set is also available to purchase to complete the look.